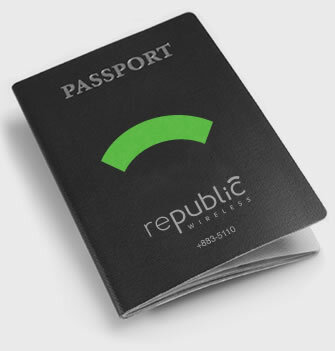 Several months after shipping handsets to its first batch of beta testers, Republic Wireless has announced that it will invite a second wave of users sometime this summer. The cellular startup reports that its initial program is "going very well" and although many users hoped to join the service in early 2012, waiting a little longer will be worthwhile as the company has many updates in the works. First announced in November, Republic Wireless aims to deliver an "unlimited" smartphone plan that doesn't burden users with contracts and costs only $19 a month -- a bargain compared to AT&T, Verizon and other major players. To accomplish this, the startup uses hybrid technology that toggles between Wi-Fi and Sprint's network, allowing you to place calls, send texts and so on via the Internet. The latest blog post isn't very detailed, but the company says it will introduce some tools to help you save cash even before you ditch your conventional provider. It's also preparing a new Wi-Fi-to-cellular handover technology for May that should improve upon the current implementation (again, very few specifics). By June, the outfit plans to offer more Android smartphones instead of just the LG Optimus. The company seems to be making steady progress toward a final launch, though it's unclear when that'll occur. It's actively addressing complaints from beta users, it has offered a thorough breakdown on its Cellular Usage Index (CUI -- what the company uses to determine whether your cellular usage is "fair") and it has even begun porting phone numbers, a feature unavailable when the service first hit beta. You can hop in queue for the upcoming testing cycling by registering here. If you're chosen, you'll have to pony up $199 for your first month of service and the LG Optimus (or whatever the company offers at the time -- maybe it'll even let you transfer your existing handset by then). The deal is backed by a 30-day money-back guarantee. Domestic roaming is free, but the cellular service doesn't work internationally. "Our team, now comprised of four times as many employees as we had at our November launch, is doing a great job and is eager to unveil our work! As we do, we appreciate the way you continue lending your voice to our efforts with your feedback and support... Get involved, hold us accountable, tell us what you think… and watch for some particulars in the coming weeks about how and when you can join us."